A MATCHA editor, who has been using the maze-like Shibuya Station standing next to the famous Scramble Crossing, will show you how to navigate through this station with ease! Shibuya Station stands next to the famous Scramble Crossing. It is also known for its maze-like structure, and its difficulty when it comes to switching trains. There are ten lines going through this station. The station building itself is three floors above ground and five floors underground. Passageways overlap each other, making it confusing for users. 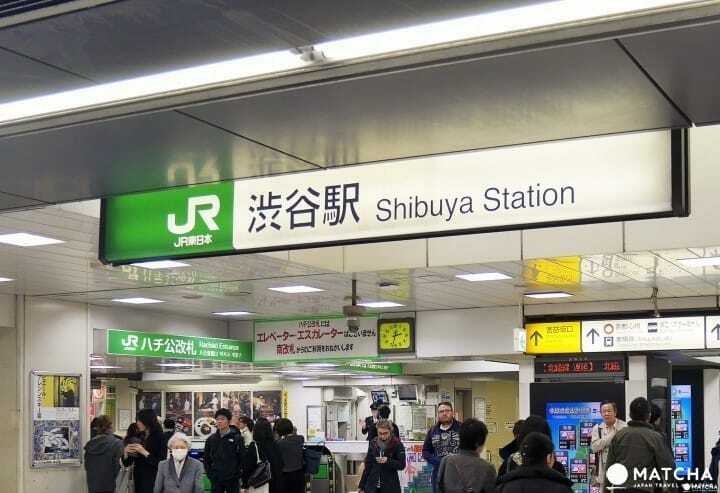 In this article, a MATCHA editor who has been switching trains at Shibuya Station every day will show you how to go through the maze. First of all, users must be familiar with the structure of Shibuya Station. Ten lines, operated by four railway companies, run through this station. Each company has a distinctive logo, so keep those in mind, as well. Fukutoshin Line: (Logo) A coffee-colored ring with the letter "F" in the middle. Hanzomon Line: (Logo) A purple ring with the letter "Z" in the middle. Ginza Line: (Logo) A yellow ring with the letter "G" in the middle. Tokyu Toyoko Line: (Logo) A red square with the letters "TY" in the middle. Tokyu Den-en-toshi Line: (Logo) A green square with the letters "DT" in the middle. Shibuya Station covers a vast area, spread out on both above and under the ground. So its users can easily get lost. If you don't know where you are, head for the Hachiko Square. You will be able to see where all the lines are located. Those heading for Shinjuku, Ikebukuro, Ueno, Utsunomiya or Narita Airport should use the JR lines. The entrance of JR Shibuya Station is easy to find. With the Scramble Crossing on your back, the entrance is on the left side of Hachiko Square, across from the Hachiko statue. Go through the Hachiko Entrance to the platforms. There are four lines: Yamanote Line, Saikyo Line, Shonan-Shinjuku Line and Narita Express. The JR Shibuya Station consists of three floors above ground, and all the platforms are on the second floor. The Tamagawa Entrance on the second floor is connected to the Tokyu Department Toyoko Store. From here, users can switch to the Tokyo Metro Ginza Line or the Keio Inokashira Line. Next PageHow to Reach the Tokyo Metro and Tokyu Lines.